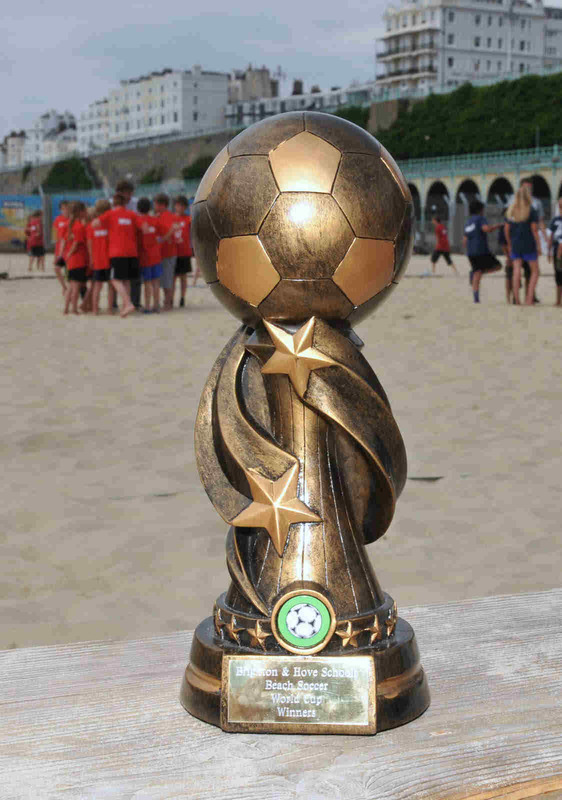 The girls gave as good as they got! 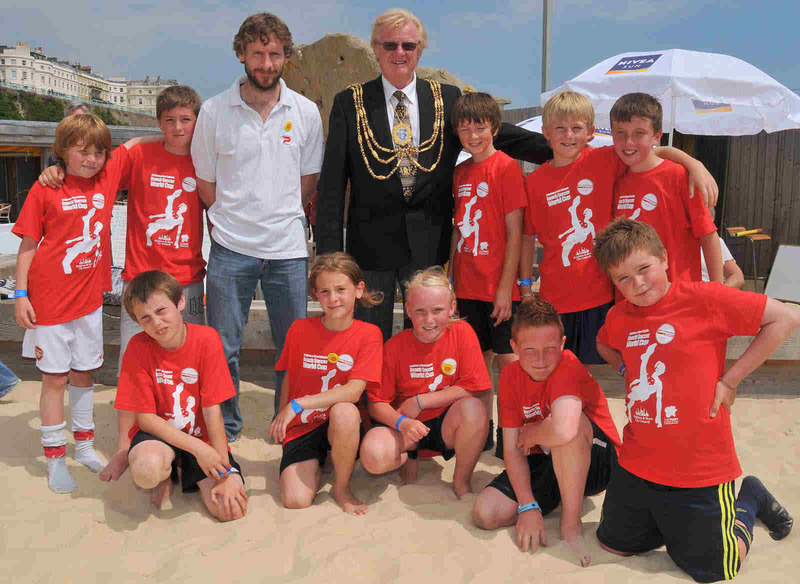 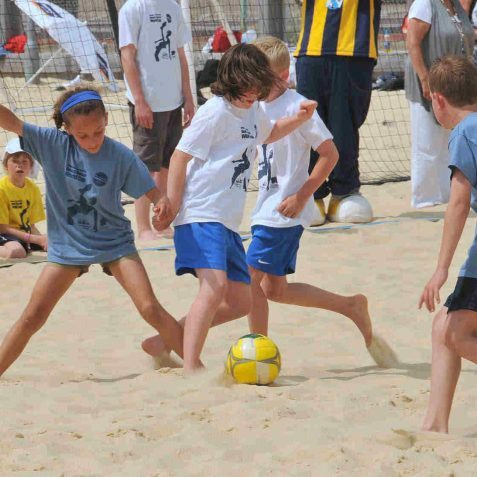 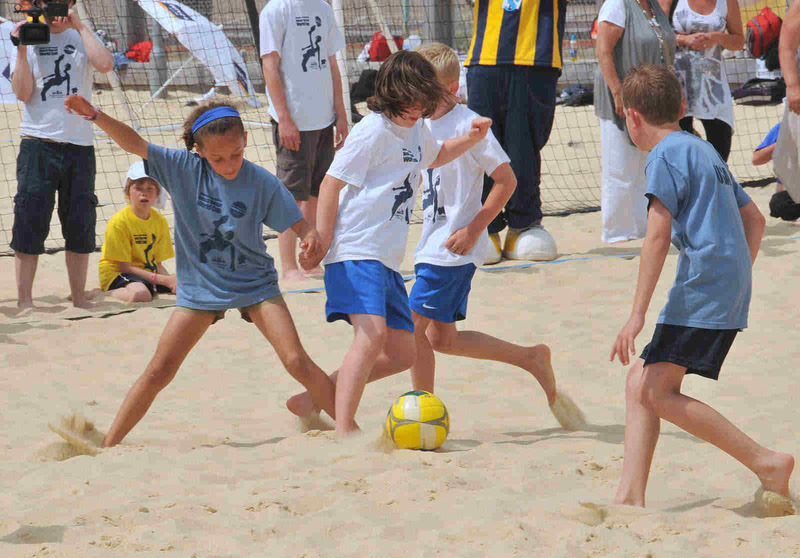 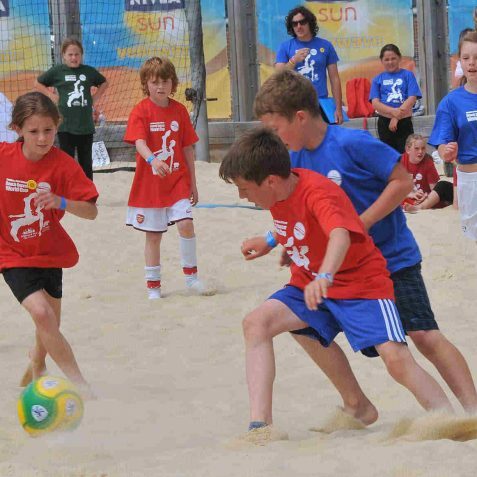 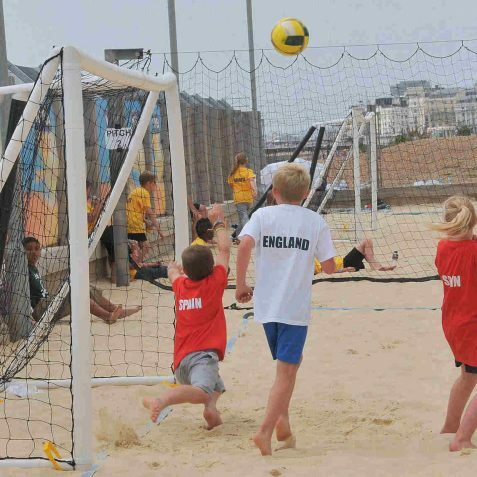 The annual Junior Beach Soccer World Cup Competition was held this week at the Yellowave Beach Sports Centre. 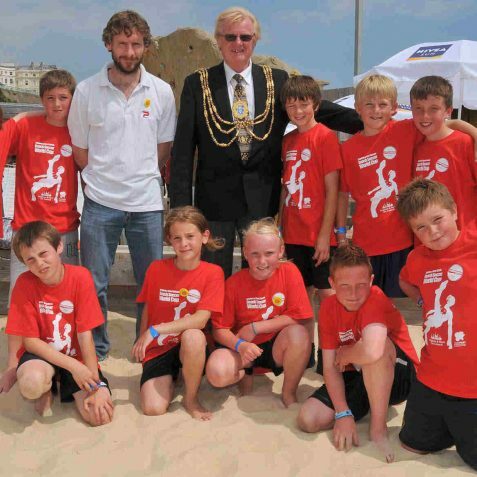 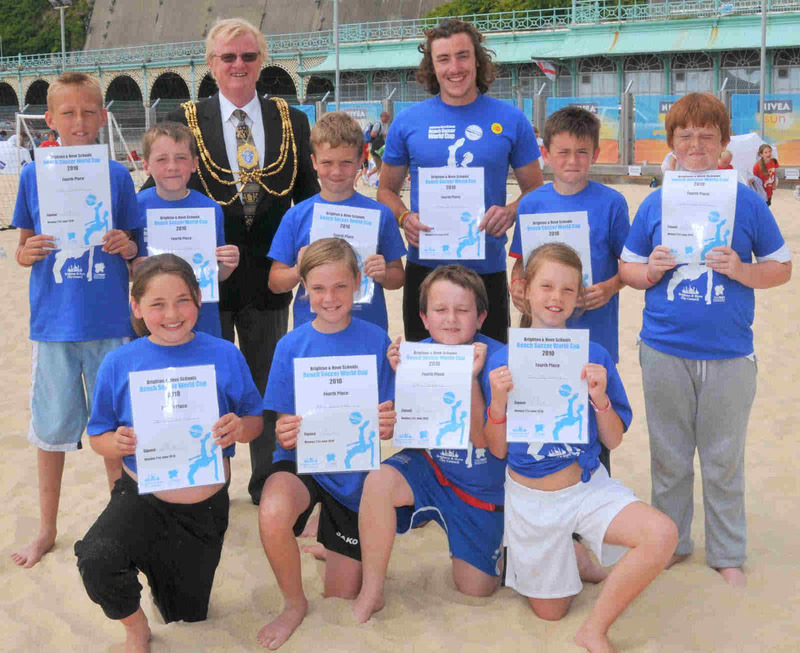 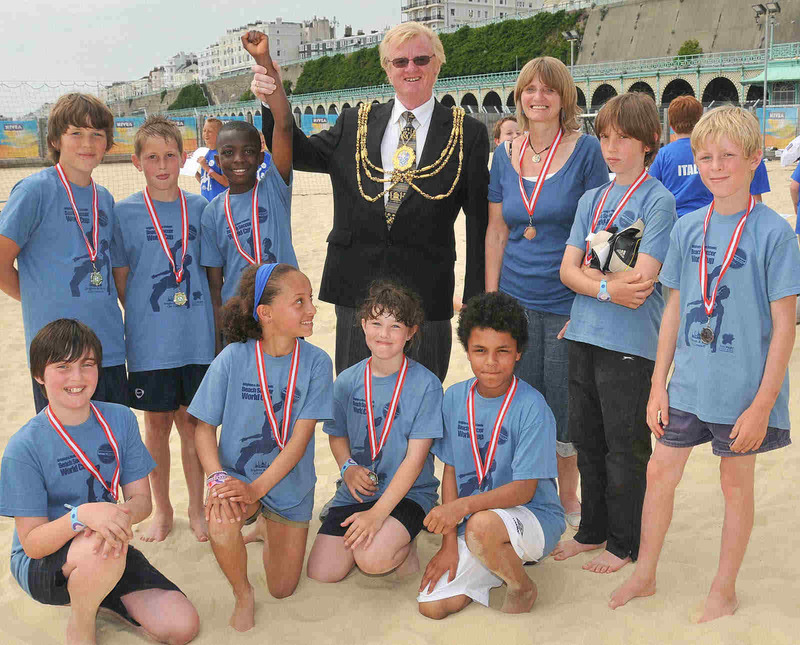 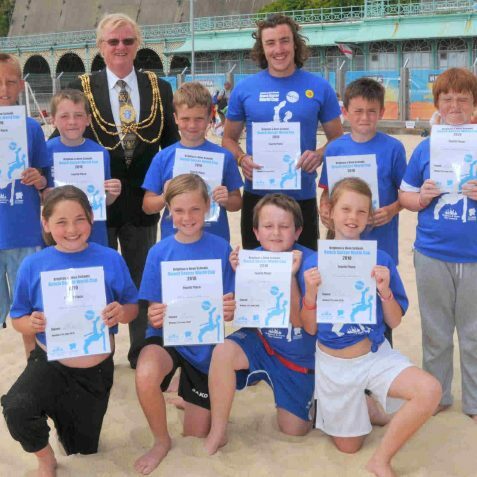 Teams are made up of Brighton and Hove school children; the teams mirror those in the current World Cup. 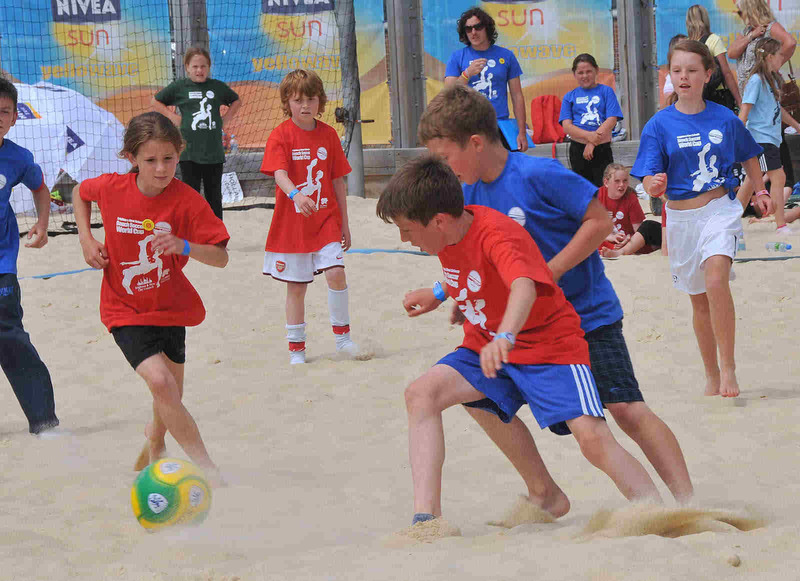 The semi-final saw the teams of ‘England’, ‘Italy’, ‘Spain’ and the ‘USA’, battling it out for a place in the final. 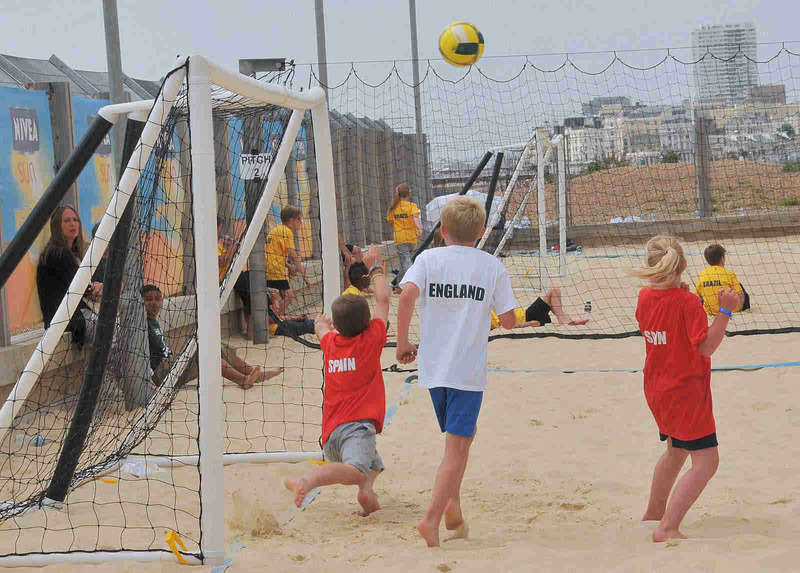 ‘England’ and ‘USA’ went forward to the final game and much to the delight of the onlookers – ‘England’ won. 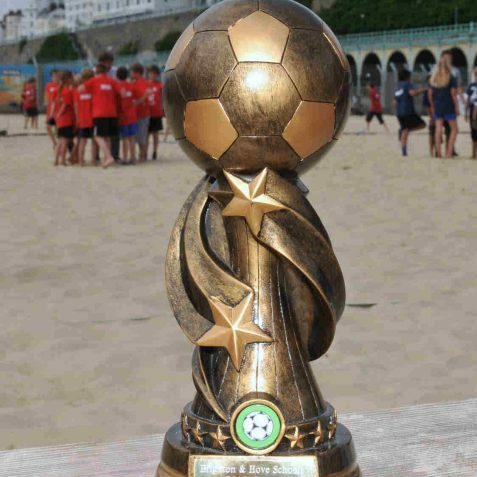 The excitement was generated mainly because last year the winner of the tournament, the ‘Italians’ went on to win the World Cup. 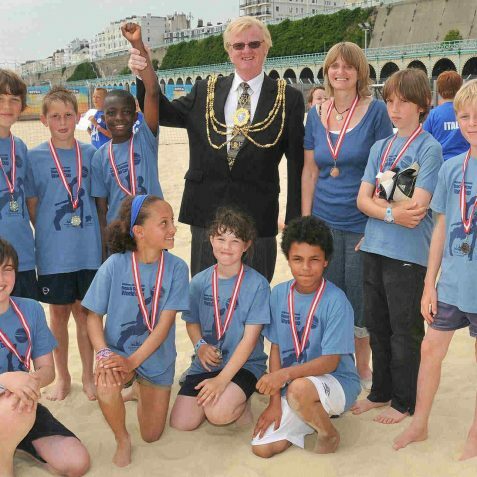 So everyone is hoping that, despite our poor showing so far in the World Cup, history will repeat itself and that the school children’s success will rub off.